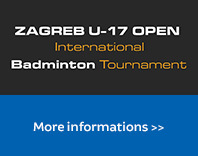 the entry list for the Zagreb U17 Open 2018 has been published and is available at http://bwf.tournamentsoftware.com/sport/acceptancelist.aspx?id=53B6938B-8D84-4739-8E31-F95A9635AA0E. 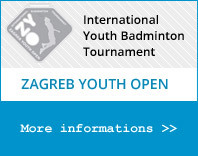 For selecting the players/pairs the BEC European U17 Ranking from 06/08/2018 has been used. All the events are in ranking order. Associations need to withdraw their players using the online entry system. The entry lists will then be updated online accordingly.